The STABILA 38616 16 in. Type-96M Magnetic Heavy-Duty Aluminum Box Beam Level features strong rare-earth magnets to keep it attached to metal surfaces so you can work with your hands-free. 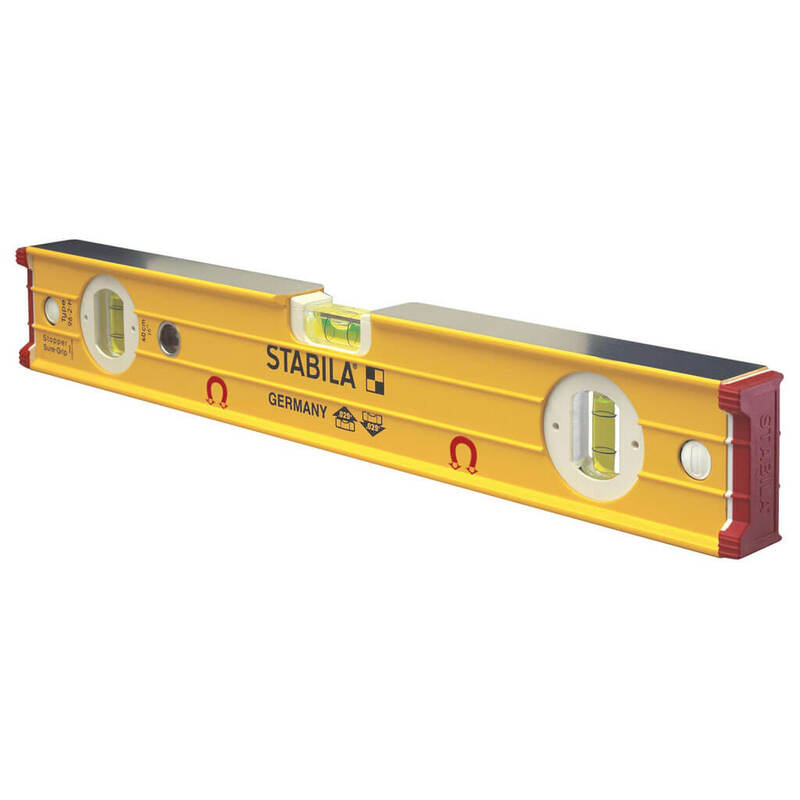 This aluminum level is certified accurate up to 1/32" over a distance of 72 inches. A specially designed housing lets you read the vial from multiple angles, which comes in handy when you work in a tricky space. This Stabila level is small enough to carry around wherever you go and is ideal for household projects such as hanging pictures. The level's end caps prevent it from getting damaged by drops or impacts. You can remove the end caps to get more accurate flush readings from a wall.